Once a year, the quiet town of Richmond in the central Karoo is invaded by writers, readers, bibliophiles and literati of all creeds and colours. The reason for such an influx of often bookish and frequently extravagant literates is of cause the Boekbedonnerd Festival, an annual celebration of Richmond’s status as South Africa’s first Booktown. For those of you who have no idea what a Booktown is, it is pretty simple: a Booktown is a town dedicated to the conservation, celebration and sale of books. Originally the brainchild of Richard Booth, who envisioned creating the world’s largest second-hand book selling centre, the first Booktown was in Wales. The concept was, however, such an enormous success that the idea of the Booktown went international and soon enough such centres of literary devotion were popping up all over the world. 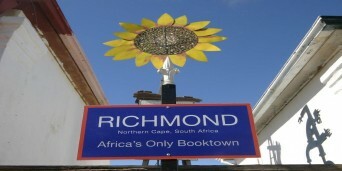 Thanks to the efforts of booklovers Darryl David and Peter Baker, who caught the fever in 2007, South Africa is now home to the African continent’s first Booktown… in Richmond of all places. As its new name suggests, Booktown Richmond promises beautiful old buildings filled with interesting second-hand bookstores and antiquated book dealers. The dream is to eventually have a large variety of these shops, but for now bibliophile tourists will have to make do with Richmond Books and Prints, the Richmond Book Emporium and the KarooZing Richmond Gallery which houses BooKarooze and the Book Orphanage. All three booksellers offer unique and interesting collections as well as a non-stop stream of conversation and Karoo coffee. In addition to offering tourists culture, collectables and cappuccino and all year round, the town also hosts literary events such as the abovementioned Boekbedonnerd Literary Festival which has so far been a runaway success. This year’s festival, which will run from 27-30 October, expects to already be sold out by the end of May when Booktown Richmond will be finishing up with a smaller, but equally exciting Litfest. The J.M Coetzee Literary Festival (27-28 May) will not only focus on the works of South African author J.M Coetzee, who won the Nobel Prize for Literature, but will also celebrate other Nobel laureates such as Nadine Gordimer, Albert Luthuli, Desmond Tutu, F.W de Klerk and Nelson Mandela. If you are planning to be in the area in either May or October, or if you are one of those people who get a thrill when you smell the pages of a brand new book, Richmond’s litfests are definitely something not to be missed this year. The little town of Richmond lies nestled next to the N1 between Hanover and Victoria West. Finding Richmond accommodation is a great idea to explore this beautiful part of the Northern Cape. 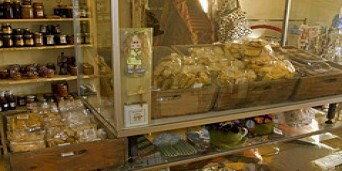 The town was established in 1843 and was founded to meet the religious needs of a growing farming community. The town has a substantial number of well-preserved houses and public buildings of Victorian and Edwardian Karoo style, with additions of verandahs dating from the 1920s. The Dutch Reformed Church building dates back to 1847, with a tower completed in 1909. The towns name originated in the desire of the people to honour the new Governor of the Cape, Sir Peregrine Maitland, but he declined and suggested instead that it be named after his father-in-law, the Duke of Richmond. It was officially named Richmond in October 1845. 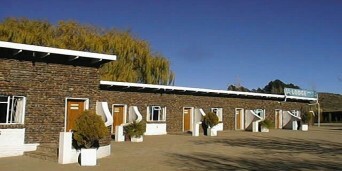 Once you have found the perfect accommodation in Richmond then visit The Saddle Horse Museum. It is one of only two in the world that honours the Saddle horse breed. Many award-winning saddle horses are still bred in the Karoo. At one time Richmond also had a mineral water factory. Some of its equipment, including the bottling machine, is on display in the museum, which was once a public school. The first impression of Richmond and its buildings is that of a historical, quaint and restful country town a place well worth a visit as there is lovely accommodation in Richmond. Another reason to stay in Richmond is that there are several interesting farms in the district. On Klipplaat there are sixty claw-like fossilised footprints. These are believed to have been made by an Au Cephalopoden, a slow-moving, plant-eating reptile that roamed these plains about 250-million years ago. And on Ouplaas there is an old horse-driven flour mill which is still in working order. Bird watching , game viewing and springbok hunting is also popular. So book your charming Richmond accommodation to experience this historical town.